The Mercury 607 Telescope is ideal for both children and adults alike, as it is equipped with surprisingly good optics and is easy to use. The Mercury 607 is a powerful refractor telescope with a maximum magnification of 140x (images appear up to a maximum of one hundred and forty times bigger! 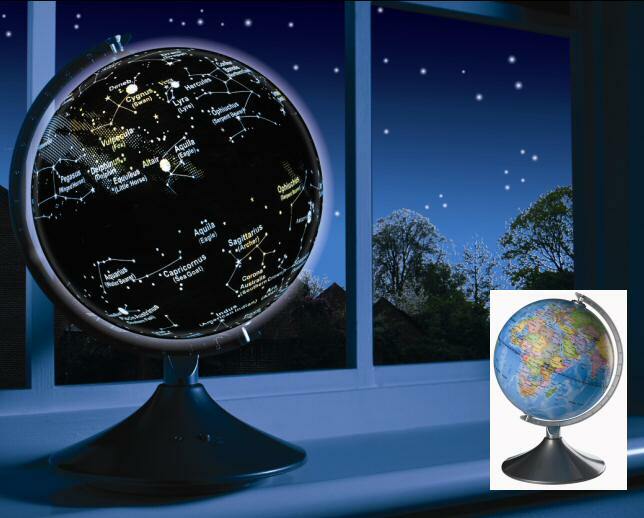 ), making it among the most powerful quality childrens telescopes available, and perfect for discovering the solar system from the garden or bedroom window. 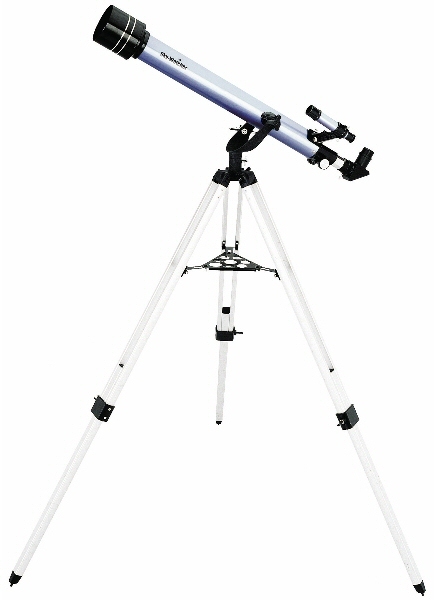 Our Mercury Refractor Telescope is manufactured by Sky-Watcher, one of the most respected telescope manufacturers - products you can trust, representing great value for money. Our Mercury 607 Telescope is a 'refractor' telescope (sometimes called a 'refracting' telescope). Light enters through a large lens at the end (called the 'Objective Lens') and the image is brought to a focus by the eyepiece. Refractor telescopes are of the type with which most people are familiar - you look through one end at the image coming in through the other. 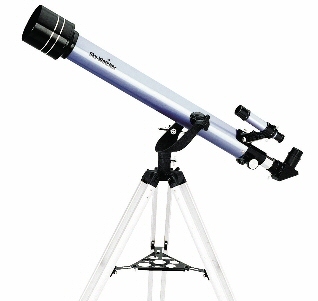 Refractor telescopes are not always as powerful as reflector telescopes, however they are easier to use for viewing terrestrial subjects (birds, buildings, horizon etc), in addition to the stars and planets in the night sky. The most important thing to look for in a telescope is the quality of the lenses. Generally speaking, for a refractor telescope, the larger the diameter of the objective lens (the opposite end to the eyepiece), the more light can be collected, and hence the greater the quality of the magnified image. Usually, the more you pay, the higher the quality of the magnified image. This is not always the case though among the telescopes we regularly review. The attractive Mercury 607 telescope benefits from Sky Watcher's high-quality lenses, usually only found in larger, more expensive telescopes. The result is that the Mercury 607 produces remarkably bright and clear images. 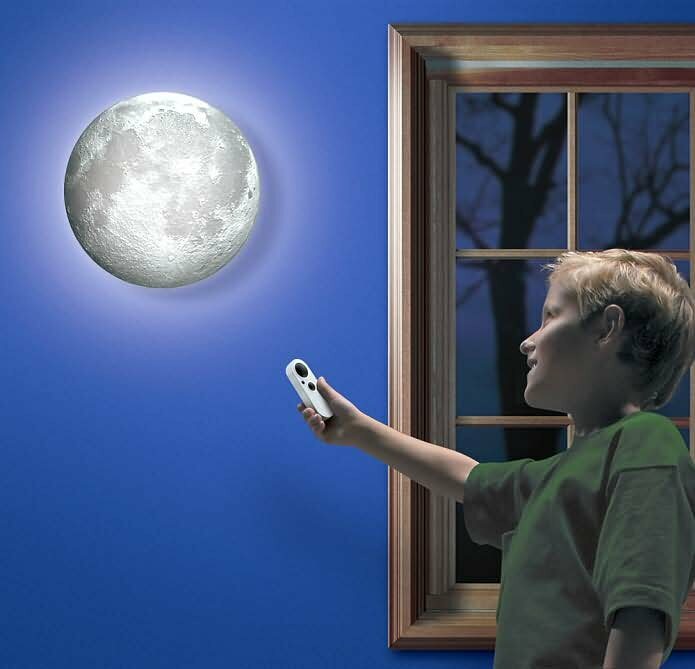 Its intuitive manoeuvrability makes it a perfect user-friendly telescope for children. Setting up the telescope is easy and they will be exploring the exciting universe to their hearts’ content in no time at all. What we also particularly like about the Mercury 607 telescope is that it achieves a very good trade-off between quality and price. The magnification of 140x may seem low in comparison to quoted magnifications of other children's telescopes, however this enables the Mercury 607 to offer a wide range of view and this is all done with optics that are superior in quality to all other telescopes in this price bracket. The result is that the Mercury 607 provides particularly clear and bright images that reveal more in the night sky than other telescopes quoting higher magnifications, which commonly suffer from poor-quality, low-detailed and dull images with such a narrow field of view that children have difficulty in using them. In short, the Mercury 707 enables amateur astronomists - especially children - to discover a wealth of hidden secrets in the night sky, without costing the earth! And, we have to admit, the remarkable quality of the images makes this telescope actually quite fun for adults too!